I’ve always thought space travel was cool and interesting, particularly as a kid, but I seldom romanticized it like so many other people do. I think it’s a generational thing. The Space Shuttles of the ‘80s and ‘90s were neat but those didn’t travel very far and they seemed too practical and utilitarian to me. Working on the Hubble Telescope and taking photos of earth and other planets was cool, but most of the news I heard about the Shuttles came when they blew up. The moon landing was amazing, but it was 49 years ago! So that has generally felt kind of “been there done that” for me. I just read Rocket Men by Robert Kurson, a book documenting the story of NASA’s Apollo 8 mission in 1968, and my perspective on NASA and space travel has changed. I doubt most people nowadays even know what the Apollo 8 mission was. They know about the mission that landed men on the moon, though probably not by name (Apollo 11). Apollo 13 was the only Apollo mission I myself could name before I read this book because I had seen the great Tom Hanks movie about it. View of the moon from Apollo 8 . Apollo 8, launched 50 years ago, is arguably the NASA mission that most changed the world. It was the mission that sent a manned spacecraft to the moon and orbited it 10 times, not the mission that landed men on the moon. Apollo 11 was momentous, but Apollo 8 was the bigger achievement. Space travel had begun only a little more than a decade before it, and until that point in time the farthest any manned space flight had traveled was 800-some miles. To get to the moon’s orbit and return back to earth a spacecraft had to travel almost 250,000 miles at speeds up to 25,000 miles per hour. The ship had to have the power to break out of Earth’s orbit, enter the moon’s orbit, then break away from the moon’s orbit again and return to earth. Its instruments had to make extremely precise life or death calculations using computing power a micro-fraction of that found in a modern smartphone. The spacecraft’s so-called Apollo Guidance Computer was more basic than electronics in modern toasters that have computer controlled stop/start/defrost buttons. Upon reentry to the earth’s atmosphere the Apollo 8 spacecraft traveled in excess of 24,500 miles per hour and the computer took over flying duties. Some compared finding the entry corridor to throwing a paper airplane into a public mailbox slot from a distance of four miles. Had a trip to the moon developed in conventional NASA fashion there would have been several missions prior to it in order to incrementally overcome the challenges of such a voyage, perhaps over the course of two years. It made sense to proceed with caution because just a year before, the Apollo 1 mission had ended tragically in a fire on the launchpad, killing the mission’s three astronaut crew members. In the summer of 1968 the odds of reaching John F. Kennedy’s goal of sending a man to the moon before 1970 and beating the Soviets in the Space Race seemed bleak. But on August 3, 1968, while sitting on a sandy Caribbean beach, George Low, one of the most important engineers at NASA at the time, had an epiphany. Suddenly it dawned on him that with the right plan and some good fortune it actually was possible for NASA to send a manned spacecraft to the moon in four months, arriving at the moon on Christmas eve. Remarkably in a matter of days he was able convince NASA and the U.S. government to attempt this audacious goal. Had the Americans not shot for the moon in 1968 they likely would have lost the Space Race. Many accounts say the Soviets would have been capable of attempting a similar mission only two weeks after Apollo 8 launched. By September of 1968 the Soviets had already successfully completed a circumlunar voyage carrying passengers of tortoises, wine flies and meal worms. Why not a person? Around the world many people said the idea of sending a manned spaceship to the moon by Christmas of 1968 was a reckless suicide mission. Imagine if the mission failed. A person could never look at the moon the same way again on Christmas. They questioned risking innocent people’s lives by rushing a mission just to win bragging rights. And it was the MOON! I try to place myself at that time period and I think I might have thought the idea crazy as well. It’s still hard to fathom. The MOON—that sphere in the sky, literally another world. A person had to travel 250,000 miles in a tin can to get there. At the time, deep space was only something in science fiction, but it is a mind boggling and surreal concept for me even today. Not to mention, this pie in the sky mission was conceived in the midst of one of the most turbulent years in United States history. Americans were divided. The war in Vietnam was escalating. Race riots and assassinations filled the news, and people feared the Soviets were ready to start World War III. But when Apollo 8’s Saturn V rocket launched Dec. 21, 1968, the world looked up and united for a moment. The mission was unprecedented and in its own way, bigger than all the conflicts raging on the ground. The Pope blessed the voyage before takeoff, and 65 countries tuned in on Christmas Eve to witness the ship’s broadcast from the moon’s orbit, including the Soviet Union and East Germany. Apollo’s three man crew had agonized for weeks prior to the trip about what to say to the world if they indeed reached lunar orbit on Christmas Eve. They consulted with just a few people to prepare a speech, and the wife of one of the writers they contacted finally gave them an idea of what to say. The speech was kept in complete secrecy from everyone, including NASA and their own families. The three astronauts read the opening passage from the first book of Genesis. They ended with the captain Frank Borman saying, “And from the crew of Apollo 8, we close with good night, good luck, a Merry Christmas – and God bless all of you, all of you on the good Earth. We find ourselves in another divided United States right now, maybe the most divided since the time of Apollo 8. Russia is still an adversary but seemingly less of an immediate threat to our existence. The U.S. now collaborates with the Russians and other nations on the International Space Station. NASA doesn’t launch its own manned rockets or Shuttles anymore. 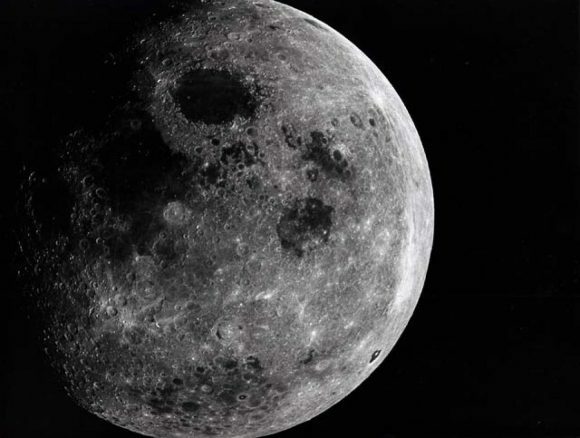 It hasn’t sent a man to the moon since Apollo 17, 46 years ago. Elon Musk says he hopes his company, SpaceX, will send a crewed mission to Mars in 2024. How much will I care about it? Is that mission as hard to fathom today as sending a man to the moon was in 1968? Would reaching Mars be more of an achievement than Apollo 8 reaching the moon? Will such a voyage take a leap of faith like that of Columbus or Apollo 8? Will sending people to Mars unite today’s world temporarily like sending men to the moon did? Question: Is sending people to Mars important to you? I for one am stoked for the possibility of space travel. I very much encourage everything Musk is doing in this arena and think this is easily the next step for humanity. Are you familiar with the “Expanse” series? I think it paints a fairly accurate vision of a possible future, the books more so than the movies but both are worth while. Besides, if we continue to manage this planet the way we have been so far, we might need to be looking for other options anyway. I’m very familiar with the space program growing up in Florida and having had a manufacturing facility in the city of Cape Canaveral for decades. I have witnessed hundreds of launches and explosions, including the Challenger. I knew some of the managers at the Cape and one of the heads of the launch teams. I was always enamored with manned space flight until later in the Shuttle years. At the time a mission was proposed to repair the Hubble telescope with new gyros and batteries to extend its life. The mission would have taken place shortly after the Columbia disintegrated on re-entry. The head of NASA at the time was opposed to the Hubble repair mission as he deemed it too dangerous. Yes, it was dangerous but no more than the typical launch and re-entry. I came to the conclusion that by this time, the administration in NASA knew that they had lost the majority of public backing for their program. They tried sending teachers in space, senators in space, and the return of John Glenn into space to try to capture the magic of the Apollo days. Should another disaster occur, Congress would have slashed funding for the manned space flight program. The head of NASA was terrified that his program would have been dismantled should the Hubble repair mission fail. Sad, but true. That being said, the manned space flight program is a jobs program. Most planetary and interplanetary scientists agree that money would be better spent on unmanned probes to the planets and the stars. Manned space flight is incredibly expensive and extremely dangerous. I’ve seen it up close. For those that think we need to explore Mars as a future home, who are the lucky ones to be able to make the final migration?? Maybe we should take better care of our current home rather than thinking the grass is ‘redder’ on the other side of the fence (Mars). I agree completely with taking care of the blue planet first and foremost. I still think manned space flight is the next great frontier. Humanity has always had pioneers, explorers and adventurers who risked their lives to expand the frontier. We remember those who succeeded and celebrate their memory, but there are countless others who did not succeed and yet still heeded the yearning call to be the first. I share your concern about who gets to go, but I would still prefer to see someone go. I agree that we must maintain our own planet right now. Mars is starting from unknown nothing. That said, man was meant to explore new worlds! Lets do something radical like go to the moon or Mars rather than just chilling out at home. Amazing that with with today’s technology we don’t do things as impressive as 50 years ago. What a pity. NASA was once an exploration firm. Now it is nothing more then a propaganda tool of radical evolutionists. It’s not surprising that today they struggle to do the amazing things that were done by Apollo 8 and 11. I think its great that people want to explore space. Yes probes are less expensive, but that is no where near as interesting. Apollo did more science and covered more ground in one mission then all other robotic missions to mars combined. Its truly a shame we never went back. The atmosphere of Venus is primarily carbon dioxide and it has clouds of sulfuric acid above it. Doesn’t sound like anywhere I would want to colonize. What is a radical evolutionist? It certainly does seem that NASA has re-invented itself into a “Global Warming” analysis organization. The congress appears to not be funding the space flight program anymore, so they followed the scent of where the money is nowadays. It’s very interesting that the once great and powerful organization is now relegated to the old folk’s home, while private industry is much more nimble and able to make things happen quickly. To some extent, NASA’s deflation is no doubt a result of the infernal posturing between the two political parties that keep their own paychecks and government benefits packed full of money, but are willing to let the programs we were once proud of sputter and fail like a car out of gas.